After my return home to Denver, I can begin reflecting on my time abroad, and I can say I am grateful for my placement at Queen’s. This university and the city of Belfast in general made for a one of a kind experience, and I would strongly recommend exploring this destination to others considering places to go abroad. That being said, if Belfast doesn’t make your cut for programs, I would also recommend it as a place to visit. Why you ask? Well here are a few of my favorite things about this wonderfully underrated capital of a British territory with a full and rich history, a great music scene, and colorful characters straddling their British and Irish identities. This great weekend attraction is an indoor open market in the city center. If you are looking for a traditional Northern Irish breakfast, a chance to check out some crafts, or even buy fresh produce, this is a one-stop-shop. I spent many weekend mornings exploring the booths at the market and enjoying a breakfast fry or fresh bakery. One of the coolest parts of Belfast, whether you are a history buff or simply looking for artistic creation is the Belfast murals. 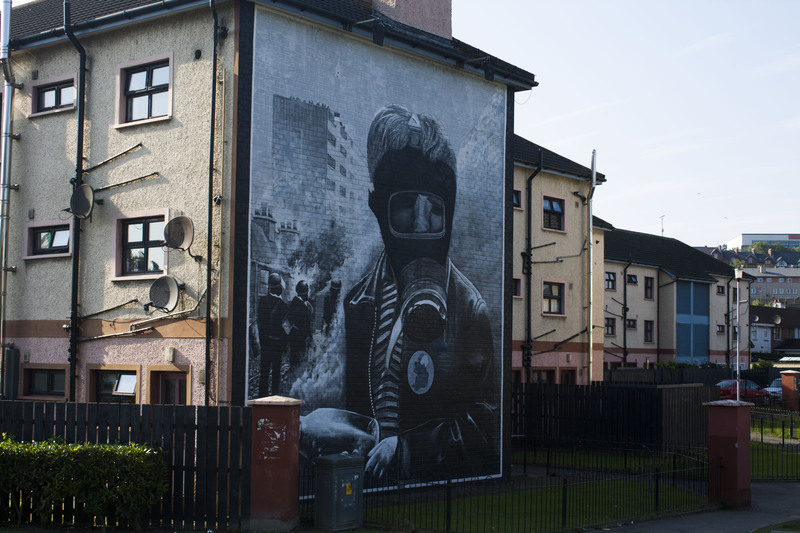 The Shankhill neighborhood is one of the divisions of the city that still holds many political ties to the Troubles, and the murals represent these political standpoints. The tours, like Black Taxi Tours, offer visitors a sad beauty within the city. 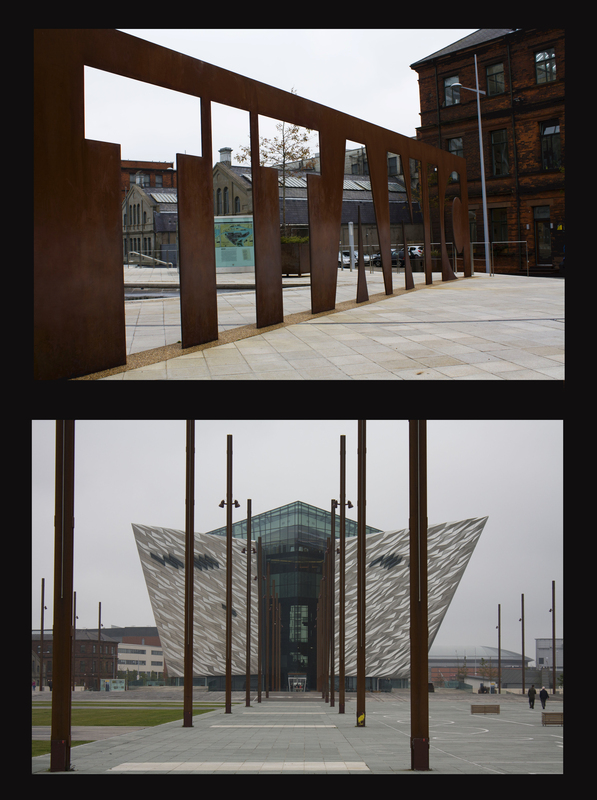 If you didn’t know, the Titanic was made in Belfast! There is a quarter dedicated to the remembrance of not only those passengers of the Titanic who died, but the crew who died in the building of the ship is also memorialized. Recently, a new museum was built at the shipyard. I highly recommend visiting the Titanic Quarter as a way to learn about the facts that Leo and Kate may have glossed over in their depiction. Not far from Queen’s campus is a great cafe. Locally owned and run, The Black Bear Cafe has great coffee, lunch specials, and serves as a quiet study spot or a delicious food stop. My favorite was the pastries, cappuccino, and the sweet potato fries. The other great coffee shop is Bookfinders, owned and run by a local Belfast woman,Mary. It has quite a bit of character and may not be everyone’s cup of tea, but equally as close to Queen’s campus, it offers a great place to study while enjoying coffee, tea, or Mary’s great soup! In any place you choose to go abroad, I strongly suggest trying local shops and restaurants. You can get Starbucks anytime, but you’ll miss out on opportunities for local flavor if you stick to American brands. Food, drink, karaoke? 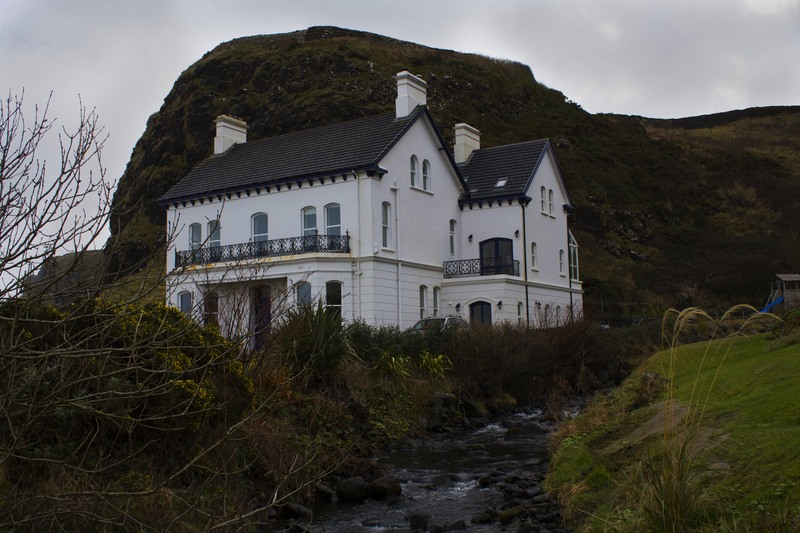 The Eglantine Inn, also along the main road of campus offers a true Belfast experience. And what I mean by that is not only is there fantastic food and drinks, the company is friendly and lively, and the night ends in a rendition of ‘Galway Girl‘ where everyone sings along. For a night to enjoy Belfast life, make sure to stop at The Eg! Less than a three minute walk from my house was the Belfast Botanic Garden. On the wonderful sunny days in the city this was my favorite place to go on a run, walk, or sit and people watch. Filled with dog walkers, stroller pushers, and students from Queen’s the Botanic Garden is beautiful, scenic and a favorite spot to enjoy the autumn leaves falling during your fall quarter abroad. Another great spot for eating, music, and general merriment is The Parlour. After spending lunches, dinners, and evenings listening to the music and enjoying the atmosphere of the local pub/restaurant. Socializing with societies like the acting society or the English society in the Parlour is a great way to get to know the Queen’s community and visit a great student hub. 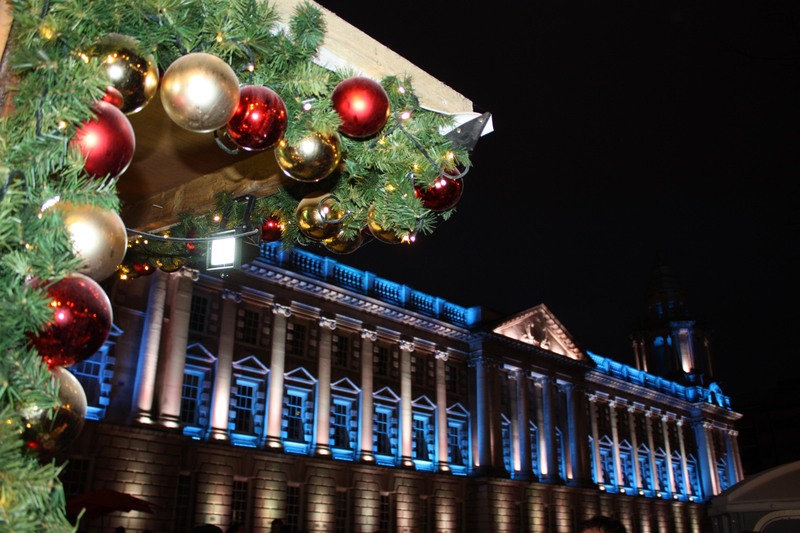 Being lucky enough to visit Belfast during the pre-holiday season I was able to visit a European Christmas market. Bringing together traditions from across Europe in food and shops, the market is a beautiful cultural mixture that delights taste buds and fulfills souvenir gifts alike. I went to the market multiple times, and it was quite a site to see City Hall lit up for the holidays taking part in the traditions of a city. 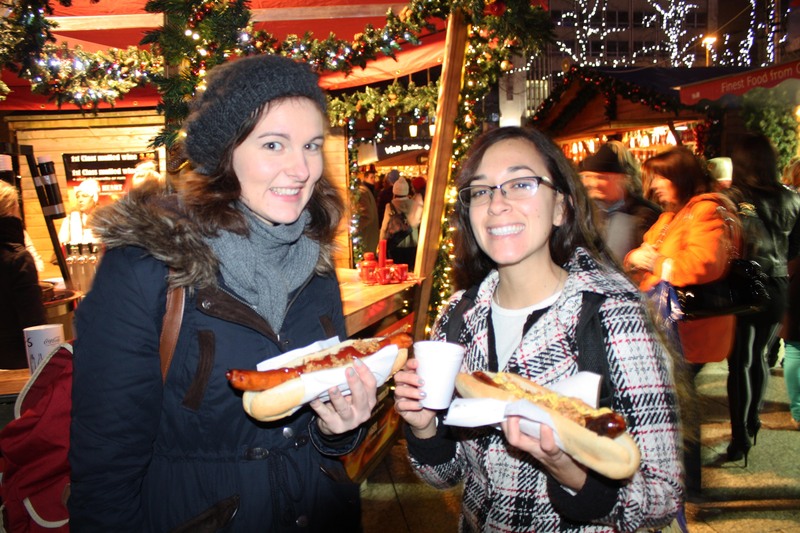 Enjoying a German tradition: Bratwurst! If you are studying in Belfast I also made a top 5 list of day trips you should plan on taking! This was by far my favorite day trip. 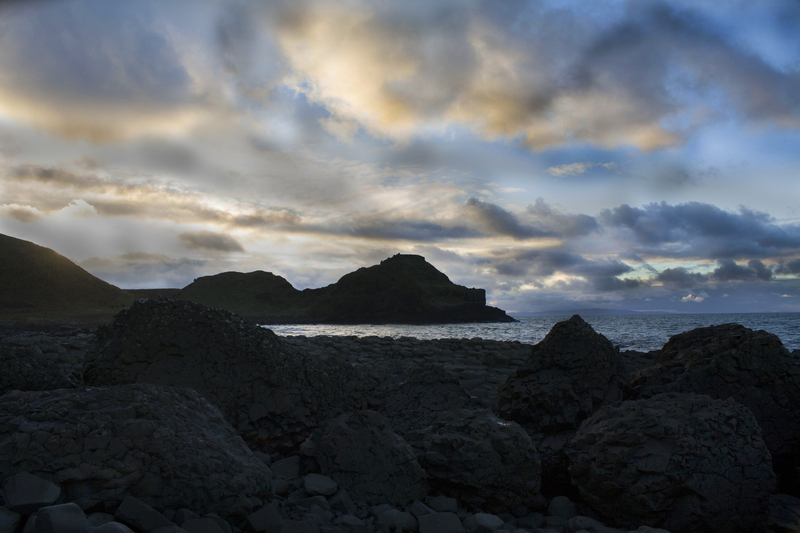 The Giant’s Causeway is a natural attraction, being a special rock formation that not only is a gorgeous site at sundown, but has fun Irish Folklore associated with it. 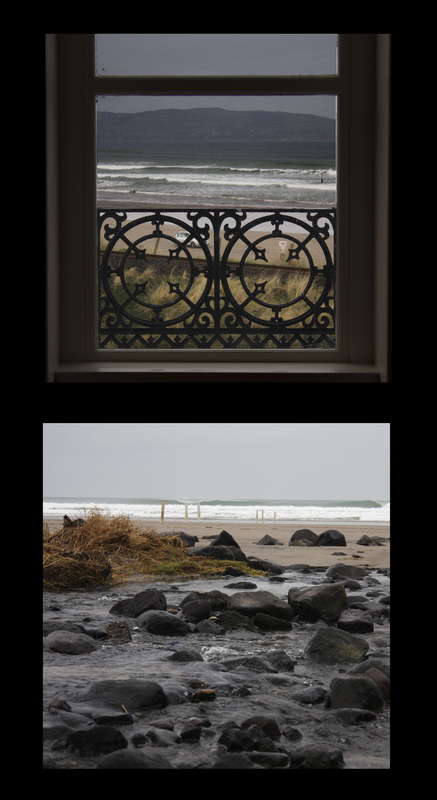 I took an organized bus tour along the coast, but this is an easy trip to plan on your own. 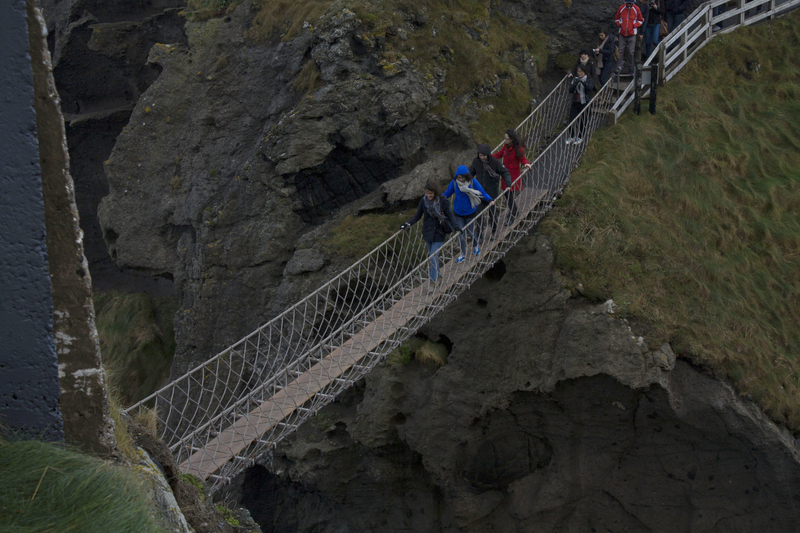 Either way, I would make it a priority to visit Bushmills, Northern Ireland and see both the Causeway and walk across the old Rope Bridge. Luckily on my trip, we avoided most of the rain, and instead got to see two rainbows along the tour! Another location for those who are interested in the politics or the history of the Troubles is the city of Derry. I was a fan of the murals in the ‘Free Derry’ location, the site of political Civil Rights Protests and the current Bloody Sunday Memorial. Learning the history of a divided nation that that of Ireland and Northern Ireland is important in understanding much of the cultural narrative, and so I made it a priority to learn more about the Troubles and the Peace Process. After living in Colorado for the last 3 years, the Mourns don’t really look much like mountains, but on the island of Ireland they are the site of highest elevation. This being said, it is a great day trip to New Castle to go and explore the mountain trails and then warm up in a local cafe in the small town. If you really like the hikes, there is also the Mountaineering Club at Queen’s that takes monthly camping trips up into the mountains. Crossing into the Republic of Ireland is luckily a lot easier than it was just a decade ago. Now the two hour drive to the Republic’s capital is a direct bus ride, taking you from city center to city center. Although it is two hours away, it is still a doable day trip as the early morning bus leaves at 6am and buses then run all night long. I recommend buying your return ticket right away, as it is cheaper and an open return is good for 30 days after purchase. 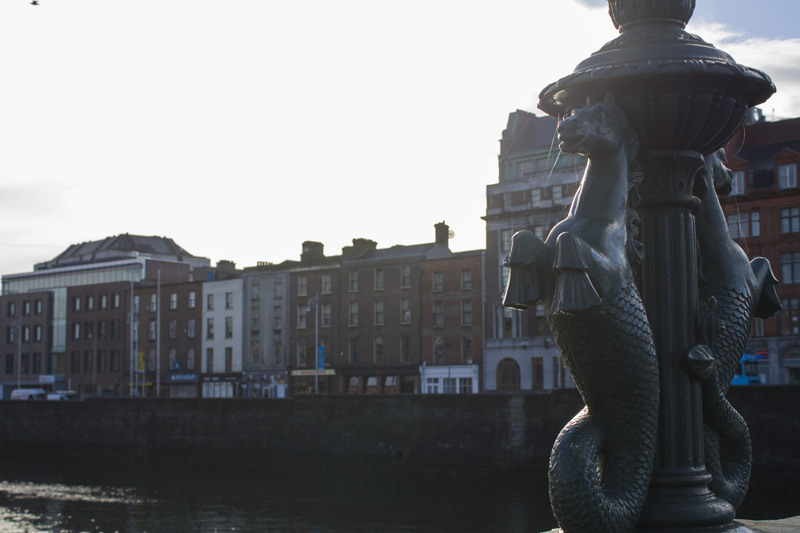 Dublin is a great city with too much for a single blog post, but some of the things I really enjoyed included: Trinity College, Kilhilmain Gaol, and Temple Bar neighborhood. Over the river and through the woods, into the fairytale like forest towards Bishops Gate is the next day trip I strongly suggest. Taking a train to the New Castle easily puts you in one of the most scenic areas of Northern Ireland. This small town is a great stopping point on your way further North to Downhill, a magically tiny town 2km away. On my trip there I walked, finding the short hike anything but dull. The small towns along this part of the coast offer a different culture than the city and a great place to relax. I spent more than a day here, staying in the Downhill Hostel, which was owned by a wonderfully hospitable couple and served as a quite secluded getaway. Be aware though: bring your own food to use in the kitchen, as there are no restaurants close by, and I was just lucking enough to be driven to the store by the hostel owner. Well those are all my recommendations for Northern Ireland. If you decide to study at Queen’s or just visit the country, there is plenty to see and do! I had the experience of a lifetime in the small country, learning about people and history that is often an overlooked culture. There was an endless list of things to do and places to explore, so I hope the next group studying at Queen’s adds more to my list! Still on the fence about studying in Belfast? Check out what one of my housemates had to say about the great country in his video.